The law is the face of a society and the legal profession cannot afford to lag behind the changing world of technology and innovative approached to doing business. Having spent considerable time of my practice in the vibrant entrepreneurial culture of the University of Illinois, I understand the need of the legal profession to provide leading-edge advice in both national and international context. Being an effective counselor through competence, efficiency, teamwork, mindfulness and caring here at Freeborn is my main focus. 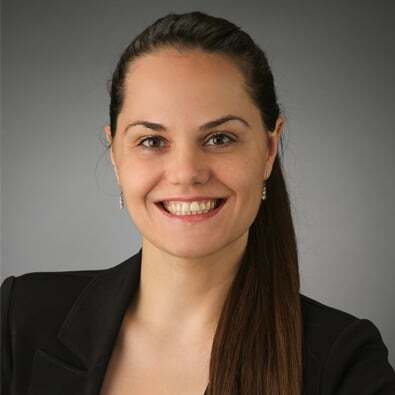 Elitsa is an Associate in the Corporate Practice Group. Her practice is concentrated in representing private companies and venture funds with respect to offering of equity and debt securities; joint ventures and private equity investments; mergers and acquisitions; and compliance with federal and state securities laws. Elitsa also consults clients as it relates to general corporate matters. Prior to joining Freeborn, she was a Corporate Associate at a boutique corporate and IP firm located in the Research Park of the University of Illinois with focus on emerging technologies and businesses. Represented an innovative energy generation company in its $30M asset sale to a strategic buyer in exchange for cash and ownership in the purchasing entity. Represented an innovative marketing solutions company in its assets sale (plus debt cancellation). Represented an innovative agricultural software company in its issuance of a total of $20M Series Seed, Series A and Series B equity sales and conducted securities filings, including handled issues relating to international investors. Represented a venture fund as the lead investor in its Series A Preferred $12M purchase, including two rounds of convertible notes. Represented an innovative construction software company in its Series Seed equity sale in the amount of $2,500,000, including convertible promissory notes and conducted securities filings. Represented an innovative security software company in a strategic Series Seed investment from a Chinese company in the amount of $2M and conducted securities filings, including handled issues relating to international investors. Represented a venture fund as lead the investor in a Series A Preferred $1,600,000, including two rounds of convertible notes. Represented a venture fund in numerous other equity and debt investments. Drafted and negotiated numerous private placement memoranda, bridge loans, stock purchase agreements, amended and restated charters, investors’ rights agreements, registration rights agreements, voting agreements, right of first refusal and co-sale agreements, and various other agreements. Assisted in the representation and formation of a venture capital fund with up to $50,000,000 in limited partnership interests and conducted securities filings. Assisted in the representation and formation of a venture capital fund with up to $30,000,000 in limited partnership interests and conducted securities filings. Assisted in the representation of a buyer in its acquisition of a digital video compression and processing solutions company. Assisted in the representation of a retailer in its asset sale. Newgren, K., Fitzgibbons, D. E. , & Dimitrova, E. (2008). The Need to Integrate Corporate Sustainability into the Undergraduate Capstone Strategy Course. International Academy of Business and Public Administration Disciplines, Orlando, Florida.